This 4 bed/2 bath ranch stlye home sits on a .3 acre lot a stone’s throw from interstate 65, making it a great central location for commuters. 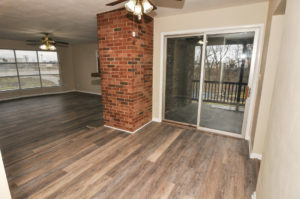 However, you don’t have to go far to load up on groceries or your favorite “Cup of Joe” with nearby stores like Starbucks, Meijer, Cracker Barrel, and more within walking distance. 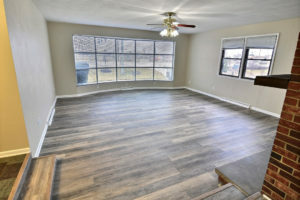 Inside you will find rich hardwood floors and fresh paint throughout the home! 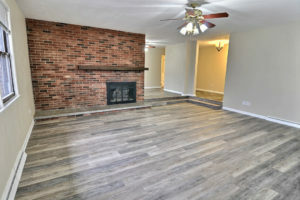 Cozy up next to the brick fireplace in the spacious great room or enjoy the backyard view from the dining area, which opens onto the deck. 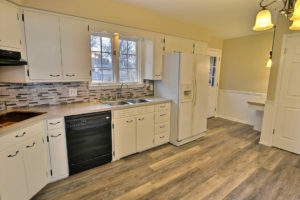 The gorgeous kitchen is bright and well lit with a new built-in oven and beautifully styled backsplash. 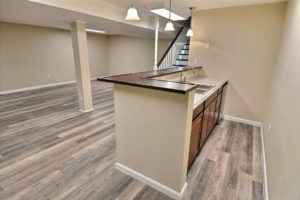 Entertain guests and family in the spacious finished/full basement with coveted wet bar, a 4th bedroom and full bathroom! This space would make a great “Man Cave,” entertainment theatre, or playroom for the kiddos! The fenced-in backyard makes for the perfect outdoor space for pets, children and guests alike. Enjoy a sizable driveway with ample parking that leads to a 2-car side-load attached garage with separate door entry and keypad. While this home is certainly turn-key-ready, there are endless opportunities to add your own style and flare! *Seller to provide a 1-year HWA home warranty ($570 value) for purchaser at closing, upon request.